With so many electronic items to charge, it can be a challenge to find enough plugs when sitting at a desk at work. I like to reserve my battery for use on the go, so what do you do when there either aren’t enough plugs available, or you can’t plug your chargers in because they won’t fit together? 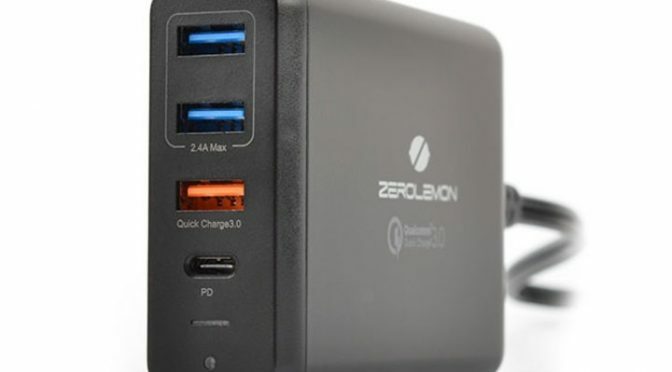 This 75 Watt Desktop Charger from ZeroLemon is a great way to maximize the plugs that you have. This charger has what you need for all of your devices. The 2 USB-A ports are perfect for accessories. The Quick Charge port can get your iPhone charged faster. The USB-C can handle Android phones, a newer iPad., or older iPads using a USB-C to Lightning cable. It can even charge many modern laptops, including newer Apple models. 1 wall outlet. 4 ports. Plenty of power. 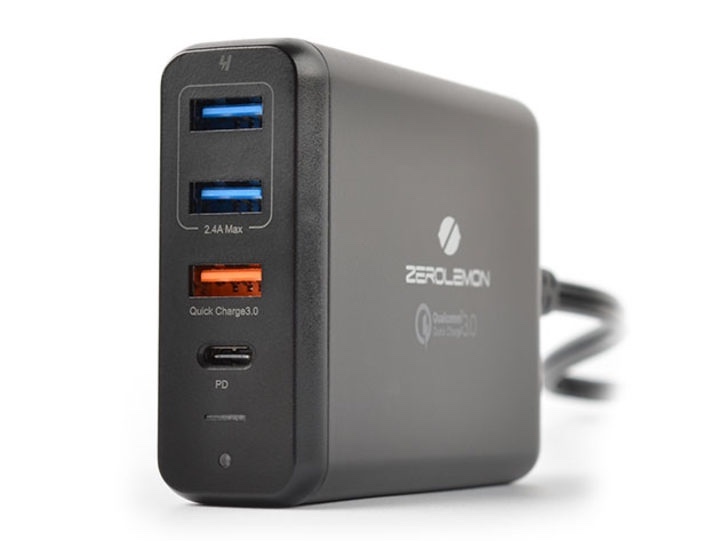 Our Deals site is offering the ZeroLemon 75W Desktop Charger with Quick Charge 3.0 for $49.99.